Find Bennett, CO New Homes for sale. View Photos, Maps and MLS Data Now! Brand new affordable townhome with full unfinished basement and 2 car attached garage. Private fenced backyard. MLS#1506224. Six Star Properties LLC. Brand new affordable townhome with full unfinished basement and 2 car attached garage. Private fenced backyard. MLS#6471226. Six Star Properties LLC. Brand new affordable townhomes with full unfinished basements and 2 car attached garage. Private fenced back yard. MLS#7874099. Six Star Properties LLC. Nicely appointed interiors with upgraded cabinets, granite counter tops, upgraded carpet and vinyl planking floors in the kitchen, baths and laundry room. MLS#3994687. Six Star Properties LLC. We are flexible, give us a call. MLS#2804880. Six Star Properties LLC. With over $10,000 in free upgrades this home is affordable, attractive, and move-in ready. MLS#5270834. LGI Homes - Colorado. With over $10,000 in free upgrades this home is affordable, attractive, and move-in ready. MLS#2715351. LGI Homes - Colorado. With over $10,000 in free upgrades this home is affordable, attractive, and move-in ready. 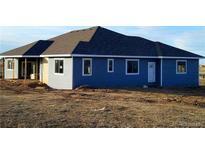 MLS#7436292. LGI Homes - Colorado. With over $10,000 in upgrades and a fantastic location, this home is impeccable and move-in ready! MLS#7272540. LGI Homes - Colorado. With over $10,000 in upgrades and a fantastic location, this home is impeccable and move-in ready! MLS#6437748. LGI Homes - Colorado. With over $10,000 in upgrades and a fantastic location, this home is impeccable and move-in ready! MLS#3528948. LGI Homes - Colorado. With over $10,000 in free upgrades this home is affordable, attractive, and move-in ready. MLS#9994373. LGI Homes - Colorado. With over $10,000 in free upgrades this home is affordable, attractive, and move-in ready. MLS#5563303. LGI Homes - Colorado. Included in this home is over $10,000 in upgrades; including a fridge, microwave, oven, dishwasher and more this home is perfect and move-in ready! MLS#3340629. LGI Homes - Colorado. With over $10,000 in free upgrades this home is affordable, attractive, and move-in ready. MLS#7489735. 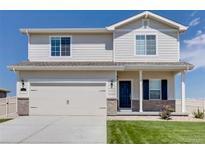 LGI Homes - Colorado.